Metal detecting 101 is a web site designed to help people learn about new detector products and keep up to date with the very latest metal detecting media and events. If you are looking for a deep metal detector there are certain things you need to take into consideration. Detecting frequency and search coil size are very important. XP Deus high frequency coil information. XP have released the new version 4 and the much awaited high frequency coils. The high frequency search coils are 9″ round and 8 x 5 elliptical. This video demonstrates the advantages of using higher frequencies and how they can find small targets that can be missed with other coils. Another fantastic production by the Team XP USA guys. We catch up with Gary at Detectival 2018 and look at the new ORX from XP Metal detectors. Dave Di and Daniel track down an old church, while RC and Lennie do a quick hunt with their Deus. Not to forget XP Sonya’s Deus Dandies. The XP Deus is such a versatile machine…It has to be because it is a very competitive market out there. Most professional metal detectorists choose to use the Full Tone audio setting as it gives a lot of feedback which can be used to a great advantage. This video demonstrates just one of the advantages the skilled user can have over the competition. The high frequency elliptical coil is a specialist coil for specialist sites ans can run up to 80Khz. View MORE metal detecting 101 Blog articles here !! 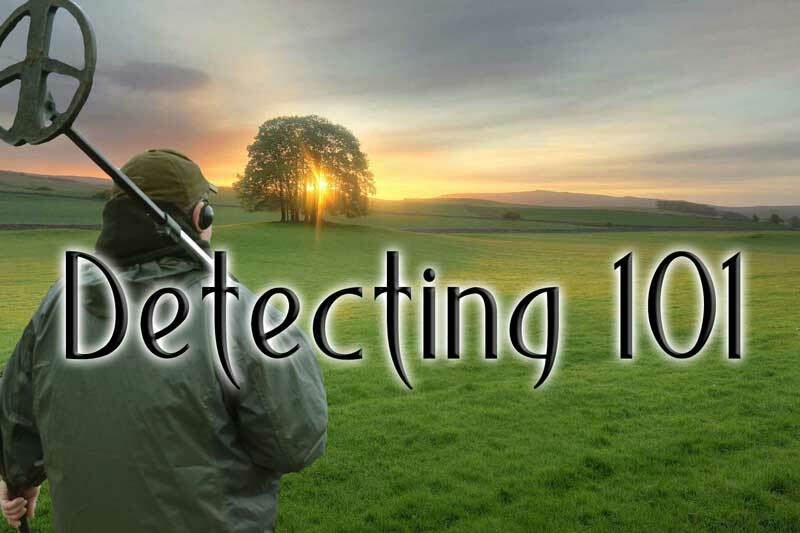 Detecting 101 is an modern version of the Gary’s metal detecting web site we try to keep up to date with the latest metal detector information and treasure hunting tips, if this is you’re hobby then you are in the right place. We try to write articles more about the non detector side of the hobby, such as tools, clothing and technical aspects. The metal detecting forum now has a massive following, thanks to all who have contributed, those who have not joined are missing a great community along with a wide range of topics so please don’t be shy, drop by and say hello, please note we do require a very small yearly subscription. People who like to conduct themselves in a mature and respectful manner. going for many years. It is a friendly community with a wide range of topics. can interact with other XP users. This is the official company forum. This XP classroom is a web site is to help new and experienced XP Deus users, the information pages are easy to understand and designed to help you get the very best performance from your XP Metal detector. You will also find top tips and the latest programs. The Classroom has a regular XP blog and encourage XP’ers from all over the globe to send in their stories.